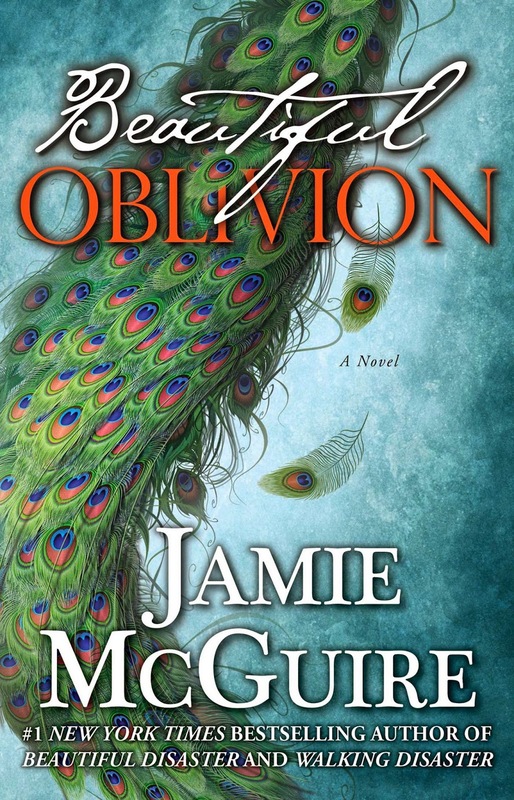 We are so excited to be included on the blog tour for Beautiful Oblivion by Jamie McGuire! Thank you, Atria! This book releases on July 1st and if you haven't already preordered it, now is the time to do it. You know you are going to buy it anyway, so do yourself a favor and one click it now so it will automatically load on July 1st. Anyone in the NA world of books has probably read at least one of Jamie McGuire's books. 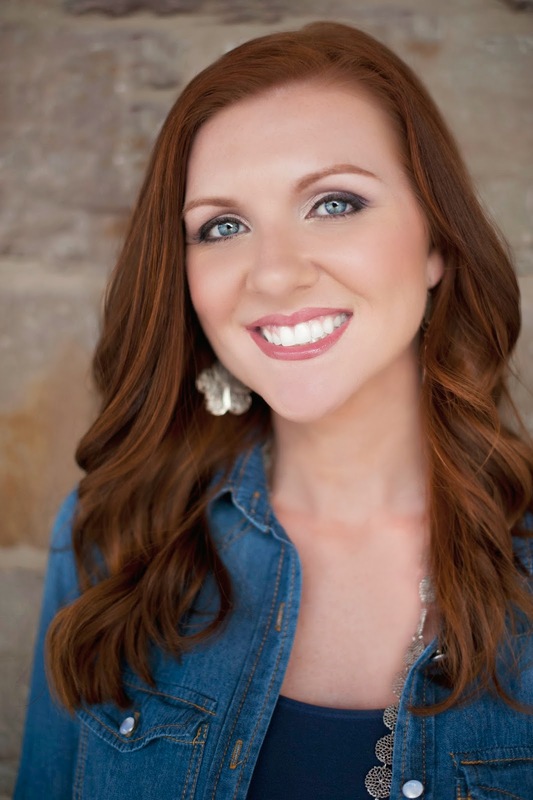 Her smash hits Beautiful Disaster, Walking Disaster and Beautiful Wedding are at the top of my all time favorite books. I would even venture to say it's almost impossible to read about Travis Maddox in those books and not fall in love with him! She has a very unique way of weaving her words into stories that simply captivates you from the very first pages. Imagine our excitement when the NetGalley widget came through and the beautiful "peacocking" cover was staring back from the Kindle! Cami Camlin is one of the most independent women characters I have ever read, and I loved her. Desperate to move out from under her controlling, violent and drunken father she learned early on how to provide for herself and more importantly how to stand on her own two feet without being indebted to anyone. As a result, she thrives on making her own way and not accepting help from others. Cami also has a huge giving heart and while her brothers often complicate matters with their brash words and quick thoughtless actions she never hesitates to step in and help clean up their mess, even when the cost could potentially be her independence. Talk about sacrifice, this girl knows the word well. When the story begins Cami is "in love" with a guy named TJ who lives in California. While she truly believes she loves TJ, you get the sense he isn't whats best for her, that maybe he doesn't appreciate her or their relationship and that the secrets between the two bring more stress than the overall relationship brings the two. If I'm being completely honest even with the few redeeming qualities I saw I still kind of considered him a jerk! He never makes an effort to be the man she needs unless its convenient for him and I hate men that don't put their women first. Cami works so hard tending bar with her room mate and BFF Reagan at the Red Door and when she isn't working she is at school or doing schoolwork. One rare night off, she finds herself enjoying being a patron at the Red Door instead of working and Trenton Maddox enters the scene. Whoa. Trenton "Trent" Maddox is just one of Travis Maddox's brothers. At one time he was the big man on campus, until a horrible car accident left him broken. Now he works as a tattoo artist and lives at home with his dad. I adored Trent. While he has a huge heart he is also insecure and scared of certain things, but this vulnerability is what makes you love him even more. Those Maddox brothers only know how to love one way, FIERCE! Trent really wants to have more than a friendship with Cami, but will she be able to let go of TJ or her own issues and independence to find true happiness? I can tell you without a doubt I throughly enjoyed Beautiful Oblivion. Before beginning Beautiful Oblivion I wasn't really sure if any of the Maddox brothers would be able to hold a candle to Travis and while he still remains my favorite Maddox, I am happy to report Trent is also wonderful and you won't be disappointed with his character in the least. In the end I couldn't really even compare him to Travis because I fell in love with him differently, not more or less. My overall struggle wasn't over choosing a favorite Maddox brother, but instead finding myself wishing the timing of Cami and Trent's story had been outside or even separate from the parameters of BD and WD. I feel their story was somewhat cheated, and possibly a tiny bit forced at times because you already know some of what is happening from the other books and even though it wasn't the same story, it felt a little recycled. Almost as if those scenes were forced into Cami and Trent's story because it is set during Abbie and Travis'. In the end I ultimately I felt it took away from the beauty of them getting their own book. Honestly I felt more connected to Trent, Cami and the other supporting characters during the scenes which didn't involve parts from the previous books. All this being said I did completely love their story and I thought it was fantastic, but as a reviewer whose pledged to be 110% honest, no matter what, it wouldn't be fair to not mention my reservations. However, an opinion is just that I know there will be many of you who won't feel the same, different opinions is what makes the world unique! In conclusion, read Beautiful Oblivion, fall in love with another Maddox brother and prepare yourself because Trent really is like whoa! And this book will take you on a roller coaster ride with plenty of revelations about new things.